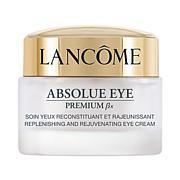 Lancôme Absolue Eye Premium Bx Cream .7 oz. Using two fingertips gently smooth the cream onto the skin, on the upper and lower eye area and crow's feet. 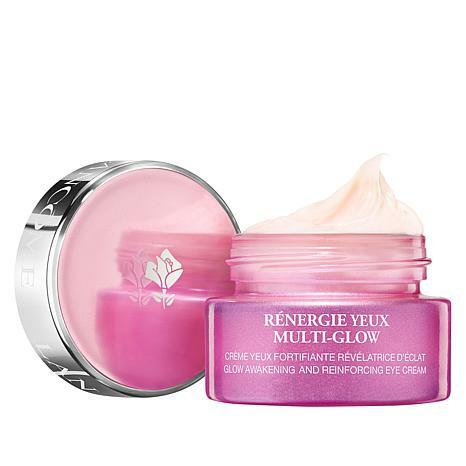 - 90% and/or 9 out of 10 women say skin feels nourished with moisture. 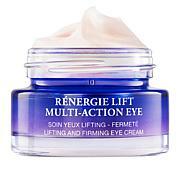 - 84% and/or 8 out of 10 women say under eye skin appears smoother. - 80% and/or 8 out of 10 women say skin seems softer. - 80% and/or 8 out of 10 women say skin looks refreshed. - 88% and/or over 8 out of 10 women say skin looks refreshed. - 94% and/or over 9 out of 10 women say skin feels nourished with moisture. - 80% and/or 8 out of 10 women say skin appears firmer. - 90% and/or 9 out of 10 women say under eye skin looks smoother. - 84% and/or over 8 out of 10 women say skin looks refreshed. - 80% and/or 8 out of 10 women say under eye bags appear less noticeable. - 86% and/or over 8 out of 10 women say skin looks more even & smooth. - 84% and/or over 8 out of 10 women say skin texture looks refined. It does have a subtle rose scent but I only smell it in the jar and not when I put it on. I like the way it feels and the lightness it brings to my eye area. Will need to see how well it performs over time but I really like it. The eye cream has fragrance in it which makes it a nono for me. I had to send it back so I don't know if it works as stated! !